DENVER (AP) — In keeping with hockey tradition, a tip of the cap to honor Alex Ovechkin and Patrik Laine . They’ve each recorded a hat trick of hat tricks this season. Easy as one, two, three. Or so it may seem. Around the league, there have been 61 hat tricks through the first 770 games of the season — the most since 1995-96 (62), according to research by the NHL stats and information department. Leading the surge are Ovechkin of Washington and Laine of Winnipeg with three each. Hold on to your hat, there’s more: There has been at least one three-goal scorer in 10 of the 13 days leading into to the All-Star break. Simple, yes. But on target, too. There have been 132 instances of a team scoring six or more goals in a game so far, which is the most since 2005-06. Teams are averaging 3.03 goals per game, which is on pace for the highest-scoring season since the 3.14 in, you guessed it, 1995-96. There has been an 18 percent increase in scoring since the post-expansion low of 2.57 goals per game for teams in 2003-04, before a lockout led to rule changes. Naturally, hat tricks figure to go hand-in-hand with the escalation. Long associated with cricket and soccer, the term hat trick appears to have made its way into the mainstream hockey vernacular when a Toronto businessman offered a hat to any player who scored three goals during an NHL game while visiting his town. 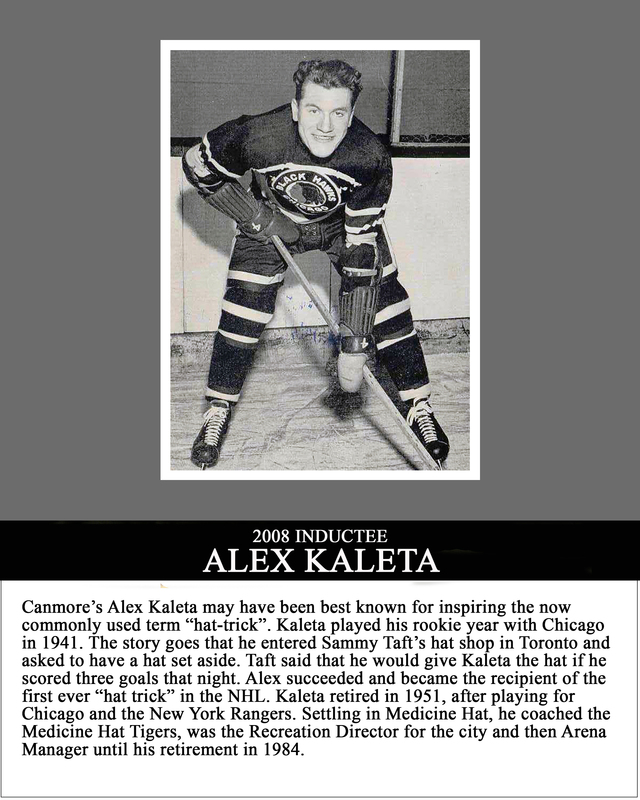 As the legend goes, Chicago forward Alex Kaleta went into the shop in 1946 and found a fedora he fancied, according to an NHL.com story . Only, he didn’t have the funds to purchase it. The business owner offered to give it to Kaleta free of charge should he score three goals against the Maple Leafs. Kaleta had four. Presto, a hat trick. These days, hat tricks come in a variety of forms. There’s the natural one (three straight goals by a player), traditional (any three goals, sometimes culminating with a late empty-netter) and of course the “Gordie Howe” (a goal, assist and a fight). The achievement of a hat trick has long been celebrated with fans tossing their hats on the ice. Ever wonder where all those hats go? The Avs, for one, donate the caps to the Denver Rescue Mission. The fastest NHL hat trick took just 21 seconds by Chicago’s Bill Mosienko (1952). The most in a career? Wayne Gretzky, who had 50. Ovechkin has the most of any active player with 23. They’re far from common — this year’s total of 61 so far is just 8 percent of all games. The Great One needed 1,487 games to get his 50. All the increased scoring means the feat may someday lose a bit of its luster. But not yet. Ovechkin had two in a four-day window this season, while Laine had a pair over a six-day span, including a five-goal game on Nov. 24. Avalanche captain Gabriel Landeskog gave his first hat trick on Nov. 11, 2017, against Washington the royal treatment. He has the puck in a case with the game sheet and a picture. He said he doesn’t have his puck from the second one, which happened a month later. As for why there are so many hat tricks this season, Zucker has a simple deduction. No need to convince Minnesota’s All-Star goaltender Devan Dubnyk of that. AP Freelance Writer Jake Shapiro contributed to this report.